Cape Cod style OCEANFRONT home that sleeps eight comfortably. Views from everywhere. 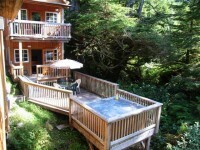 3 oceanfront bedrooms with decks and fabulous views! 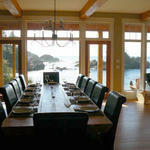 Two cozy waterfront cabins and a one-bedroom waterfront suite on half acre property on Ucluelet Harbour. Very private & romatic! 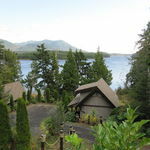 Close to the Wild Pacific Trail, Long Beach & all amenities in town. 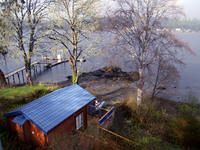 Four self contained cottages on 2 acres of waterfront property.All with private hottubs/bbq's.Bring your kayak/canoe and launch from your doorstep.Many different species of birds to watch from your window/deck.1km to the PRNPark.Great romantic getaway!